Sergius (Sargis) Hasan-Jalaliants (r. 1794-1815. d. 1828) was the last Catholicos (supreme patriarch) of the church of Aghuank (Caucasian Albania), the region encompassing in his time the khanates of Karabagh and Ganje (ancient Artsakh and Utik) in Eastern Armenia. Picking up the history of this region essentially from the end of the work of his grandfather's cousin, the catholicos Isaiah (Esai) Hasan-Jalaliants (r. 1702-1728), Sergius carries the story down to final triumph of the Russians over the Persian Empire just over a century later. Discovered by R. H. Hewsen in a manuscript in the library of the University of Tübingen, Germany in 1984, and here translated into English by K. V. Ketendjian, this is the first rendering of the text into any language. 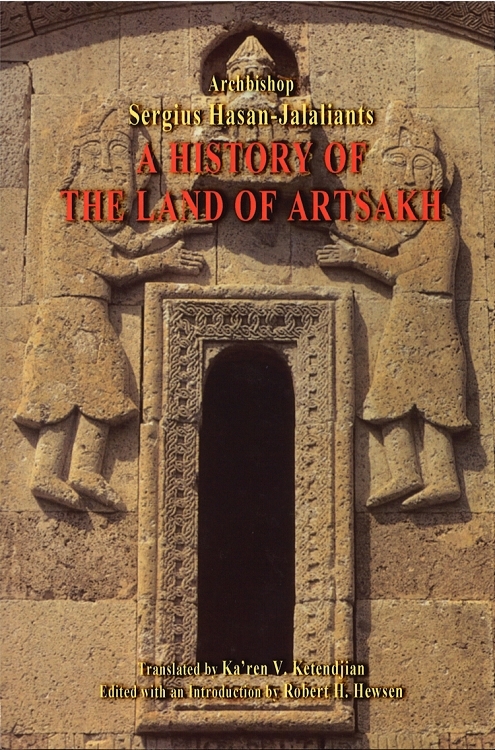 An important primary source for the period under consideration, and for the history of the region with which it is concerned, this work confirms the presence of the Armenians in Karabagh long before their supposed introduction by the Russians after their occupation of the region in the early nineteenth century.